We recently had an Q&A session with wedding planner Rebecca from Champagne & Cedar. The beautiful headshot of Rebecca is captured by Katia Stetskaia Photography. 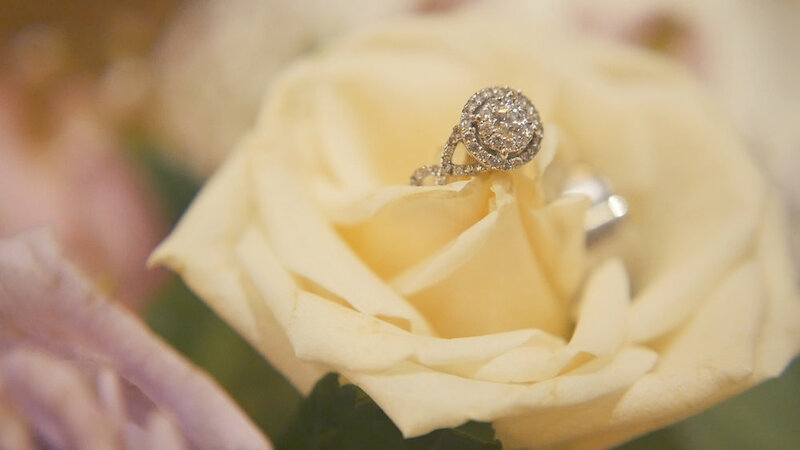 Read on and see what tips she has for you to get to the right wedding videographer! 1. Hi Rebecca, tell me about yourself. I grew up sketching wedding dresses and bridal wear; I’ve always loved weddings for the creative freedom you can take with the design aspect of the day. As an adult I grew to love the commitment of two people and two families to join together. I became a wedding planner after my brother in law had a wedding where they hired a venue coordinator who didn’t live up to her contract. No couple should ever have to deal with sub-par services on their once in a lifetime occasion. Aside from my passion for weddings, I love to travel. I’ve been to over 30 countries on 5 continents and I’ve lived in both Wellington, New Zealand and in Istanbul, Turkey. One my favourite things to do abroad is eat all the local delicacies! The more bizarre something sounds, the more I want to try it! 2. What do you love about weddings? Weddings bring together my two favourite things. Firstly, I am a hopeless romantic: I love the vows, the speeches, the first dance, and when the couple see each other for the first time. Secondly, I love organization, schedules, and planning. Nothing feels better than taking a bunch a jumbled ideas from a couple, presenting them with an organized timeline and to-do list, and the executing everything perfectly. 3. Is a wedding film package a good investment and why? Absolutely! At the end of the wedding day when it’s all over, all you have left are your memories and the medium of how they are captured. Photo is a still visual, but video is a visual in motion with sound. You can hear parts of what was said again; your vows, toasts, funny moments, and you can see little moments captured in a way that could never be done in photo. Speaking from personal experience, I absolutely love my wedding photos, but my video captured these little intimate moments that were so nuanced and revealing; those moments are everything! 4. In your experience, what do couples look for in wedding film services? A skilled professional with a steady hand and an eye to get those creative shots that add so much to the video. Anyone can point a camera and shoot, but getting things in frame and in focus is more difficult when capturing events as they unfold. Editing skills are also required to seamlessly blend the events of the day together and have it flow nicely. A great videographer is one whose work you want to watch over and over! 5. Some couples skip wedding film services or book it at the last minute, what’s your though on that? I think traditionally, people have been told photography is the most important aspect of the day, so couples focus on this and put videographer off to the side as something to deal with later. I think video and photo are equally important; they both capture the day in different forms and are equally valuable. 6. Why do you think an all-female team of cinematographers can benefit wedding clients? Brides often want the getting ready portion of day filmed, and are usually wearing robes or silk pajama sets during this time. A female team can better capture this by blending in to the room and allowing the girls to relax instead of being self-conscious. 7. Do you see any trends in wedding films? Colour tone, sparkles, drones? Outdoor and indoor drones are being used more and more in wedding film and I love it! You get beautiful, fluid shots across a distance that is impossible from the ground. 8. Any questions you’d suggest your clients to ask a wedding cinematographer before booking their service? I always suggest couples to view a few samples of recent work. When meeting, it’s important to know what the plan is if the videographer is sick or an emergency prevents them from showing up. Do they have a plan in place and as the couple, are you happy with this plan? It’s rare that something would come up but you always want to be protected in case. 9. Any more advice or thoughts? Connect your photographer and videographer to each other early if you’ve booked from different companies and be sure that they each have enough time to get the footage they need to create beautiful work for you. More time always the way to go! Thank you, Rebecca! These are great insights. We hope these tips will help you find the right videographer for your big day!